Carol J. Larson - Author and Artist: Who Really Conquered the West? Who Really Conquered the West? American legend has it that the West was settled by sturdy young men. But that's not the whole story. Single women, either unmarried or widowed, made up a substantial number of frontier settlers. 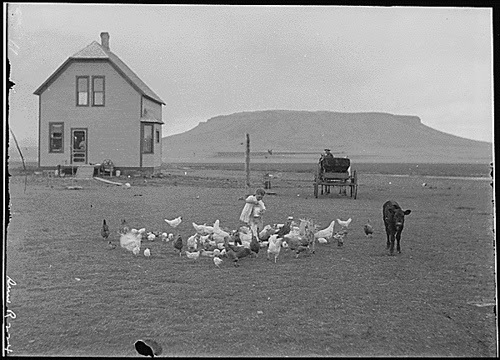 In 1863, when the land offices opened for homesteading in Minnesota, one unmarried woman homesteaded for every four unmarried men. From 1863 to 1889, about 2400 women without husbands actively sought and farmed land by themselves in Minnesota. This was true across the West. Susan B. Anthony claimed that in the mid-1880's, one third of the land in Dakota Territory was owned by women. So let's change our perception of the frontier farmer to include single women, who, by themselves, played a significant role in the settlement of the West.